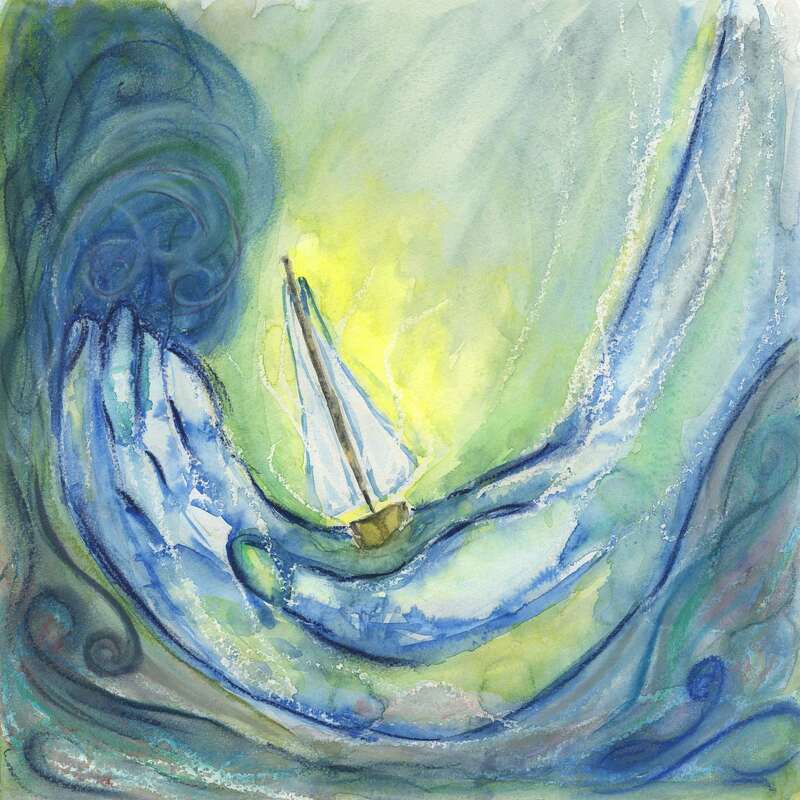 Lynda Owen-Hussey, a companion with the Northumbria Community, is a mixed media artist living on the shores of the West Coast of Ireland in County Kerry, close to the birthplace of St Brendan. These days, her work is inspired by the many gifts of the sea she encounters on walks along the shore, often pondering the life of St Brendan and the many monks of old who inhabited this land. Brendan and his companions spent years on the sea as they searched for, and eventually found, the promised land. In Psalm 31, King David in the midst of difficulty places his trust in God recalling that his times are in God’s hands. Likewise we are called to trust God in the dark and difficult desert days we can find ourselves in. Never mock what others say. Perhaps their words are full of nonsense. Perhaps they are trying to puff themselves up. Perhaps they like hearing the sound of their voices. Perhaps they are trying to deceive their hearers. Perhaps they are foolish and dim. Perhaps they are more clever than wise. Yet amidst the useless clay You ay find jewels beyond price. The word of God is in every heart, And can speak through every voice. Never mock (p.104) This collection of stories, meditations, poems and prayers evokes the authentic spirit of Celtic Christianity. Capturing the atmosphere of parables passed down through generations, it shows the human warmth, respect for the natural world and robust, down-to-earth qualities for which Celtic spirituality is so greatly valued. 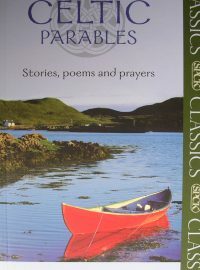 With its rich treasury of material – most of it previously unavailable in modern editions – Celtic Parables offers a fresh lively introduction to the Celtic world. It will appeal to all those fascinated by our Celtic heritage and the way it speaks directly to us today. 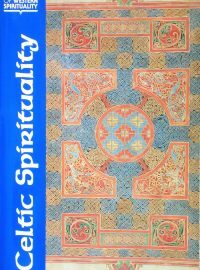 This rich and diverse collection of texts newly translated from Latin, Irish and Welsh marks a landmark in the study of Celtic Christianity. In these pages we find saints' lives, sermons, liturgy, monastic rules, penitentials and exegesis a well as devotional texts, poems, and works of theology. The effect is to create a sense of a Christian civilisation that is deeply life-arffirming, imbued with a pervasive sense of divine presence and wonderfully at ease with itself. An A4 booklet with the liturgies for the night office of Compline for each day of the week. Can also be purchased in Large Print (18 pt), Braille (grade 2 braille) and normal print versions. 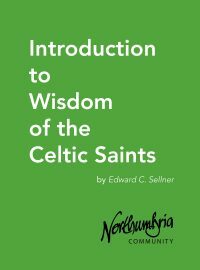 Edward C Sellner has recently published a revised and expanded edition of his important work Wisdom of the Celtic Saints, which presents the stories of 27 of the most important of the Celtic saints from Ireland, Scotland, northern England, Wales, Cornwall and Brittany. 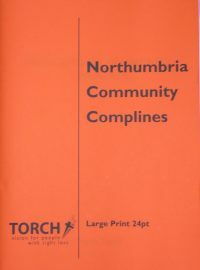 However, this is currently only available in hardback form and the author has permitted the Northumbria Community to publish his excellent introduction to his book in this booklet form, making it more widely accessible.